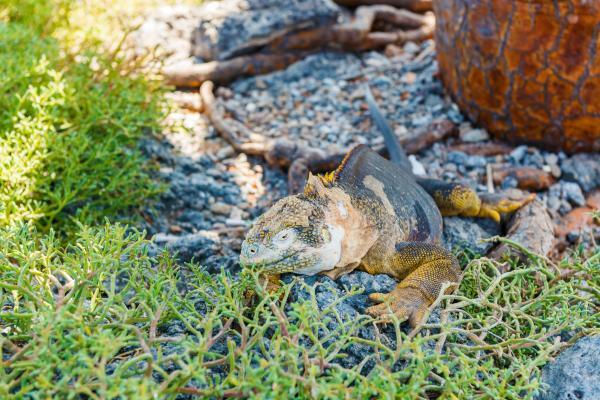 This 5-day cruise through the Galapagos offers you the amazing opportunity to explore the highlights of the southern islands. Enjoy the history and unique splendor of these amazing islands. Witness the amazing flamingos of Floreana, the playful sea lions of Española, and the friendly giant tortoises of Santa Cruz. There are pristine crystalline waters for outstanding snorkeling and swimming, roam the striking volcanic landscape, and observe fascinating native wildlife as you cruise through the beautiful southern archipelago. After your arrival you will be transferred to the boat and will check in. After lunch make a dry landing and head out to Cerro Colorado, where you can see giant Galapagos tortoises in the Breeding Center. View giant tortoises and see them in all their various stages of life. Gardner Bay is located on the north coast of Española Island. 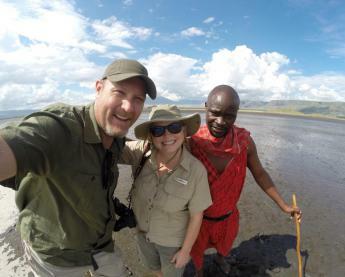 The main attraction here is the colony of sea lions which inhabit the beach in incredible quantity during the breeding season. Both resident and migratory birds are can also be observed at this location. 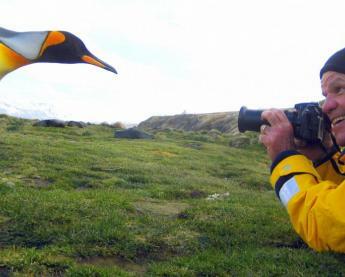 Later head to Punta Suarez and enjoy a walk on this island where you can see sea lions, marine iguanas, blue-footed boobies, Nazca boobies, Darwin finches, Galapagos hawks, albatrosses, lava lizards, and herons. 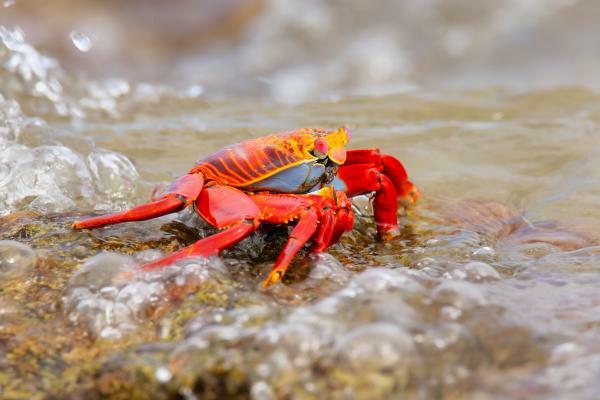 There is an amazing variety of wildlife making their homes on Punta Suarez. Post Office Bay is one of the few visitor sites that is visited for its human history. Whaling Captain James Colnett established the wooden post barrel in early 1793 at this location. At the time whaling was a big industry, ships were typically gone for 2 years at a time and the Galapagos Islands were a frequent stop for these ships. Outbound ships would drop off letters here after rounding the cape and the ships returning home would mail them. Over the years thousands of ships have stopped to send and receive mail at Post Office Bay. 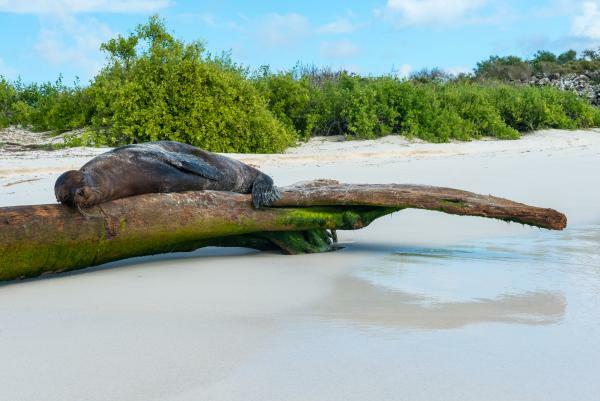 Many have posted a sign of driftwood or other materials memorializing their visit making this the only area in the Galapagos were graffiti is still acceptable. Later head out to Punta Cormorant to enjoy its sandy olivine beach for walking and swimming. The island also has a flamingo lagoon and a white sand beach where sea turtles nest from December to May. Enjoy some relaxing snorkeling in the rocky coast of Santa Fe and see a variety of fish and sea turtles.You can see colonies of sea lions, land iguanas, frigate birds, Galapagos doves, and lava lizards. On the island there is a forest of giant cacti and Palo Santo trees as well. 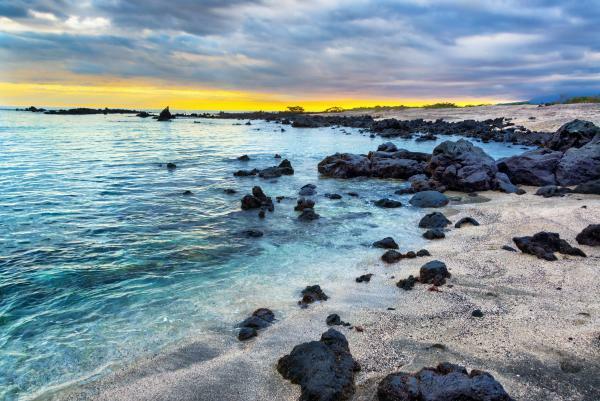 While on Santa Cruz Island, take an interesting walk to the Turtle Bay beach This is perhaps one of the most beautiful beaches in the Galapagos. 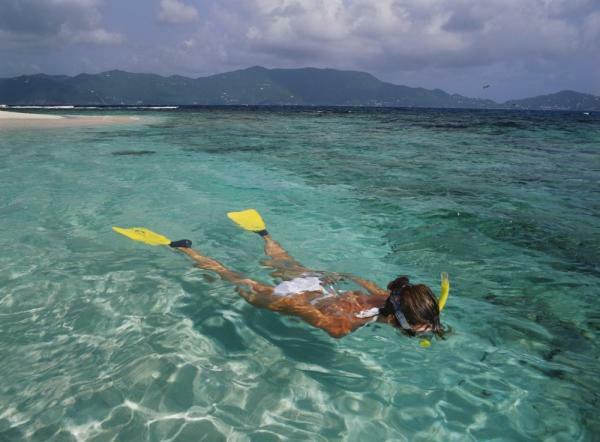 Enjoy a relaxing swim or take the time to do some snorkeling. Also have the chance to observe colonies of marine iguanas, pelicans, Darwin’s finches, sharks, and sea turtles. Enjoy a nice breakfast and them head to El Chato Reserve. This reserve is divided into two areas; Caseta and Chato. The reserve allows visitors to observe giant tortoises in the wild during the dry season, and is also a good place to spot short-eared owls, Darwin’s finches, yellow warblers, Galapagos rails, and paint-billed crakes. After that transfer on to Baltra's airport and back to the mainland. This classic catamaran features both standard and master suites to accommodate up to 16 guests in absolute luxury. Its modern design maximizes use of the space, including closets, queen beds, private bathrooms, and air conditioning throughout. Social areas include a sundeck and indoor dining room, lounge, and bar. 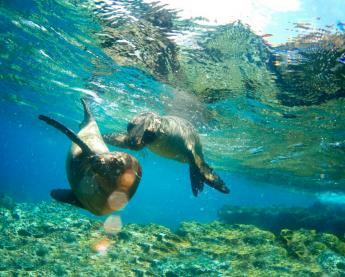 20% discount for children under age of 12 at time of Galapagos cruise.